The brutal terror attack on the city of Paris appears likely to provoke a sea change in Western policy towards the conflict in Syria. Iranian President Rouhani postponed his trip to Italy, instead sending official messages of support to the French government. Foreign Minister Javad Zarif, who was to accompany Rouhani on his European trip, instead rushed to a diplomatic meeting on the Syrian crisis in Vienna. The message Zarif took to Vienna was that the world’s governments need to put aside their differences and come together to fight ISIS, which in practical terms would mean endorsing the Iranian-led efforts in Syria and Iraq to combat ISIS on the ground. Intelligence cooperation, then, is to be conditioned on political cooperation — that is, Syria’s government will do nothing to help prevent terror attacks in Europe unless and until the governments in Europe cooperate in keeping Assad in power. Moscow’s strategy—to back the regime of Syrian President Bashar al-Assad, at least temporarily, as the best way of tackling Islamic State—has been unpalatable to the U.S. and, up to now, France, which has been one of Mr. Assad’s fiercest international critics. That position could well be changing…. 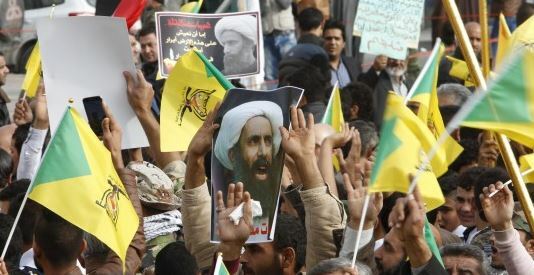 However, any de facto coalition with Moscow would likely reinforce the Assad regime, a step that some experts warned could backfire by pushing Sunni Muslims who oppose him into a corner. Mr. Assad belongs to the Shiite-linked Alawite minority. “The more you support Assad the more you are getting on the wrong side of the Sunnis, and give them only one option—supporting Daesh,” said François Heisbourg, a leading French security specialist, using another term for Islamic State. That this is a serious concern is made clear by an interview by Michael Weiss with a recent ISIS defector. Asked why he had joined the group, he said that he “felt compelled to sign up because he believed America was an accomplice to global conspiracy, led by Iran and Russia, to keep the tyrant Bashar al-Assad in power. How else could it be explained that the U.S. was waging war only against Sunnis, and leaving an Alawite-run regime guilty of mass murder by almost every means and its Iranian Shia armies untouched?” (Emphasis added.) Any move by the international community to “put aside” differences with Russia and Iran, or to soften objections to Assad remaining in power, will only drive Sunnis into the arms of ISIS. Solving the Sunni side of the crisis is the centerpiece of a recent book on fighting the Islamic State, Cut Down the Black Flag: A Strategy Against the Violent Jihad. Authored by former Special Forces Master Sergeant Jim Hanson and his team, it suggests that a tribal engagement strategy built around an autonomous Sunni region would give the Sunnis a place to go besides ISIS. 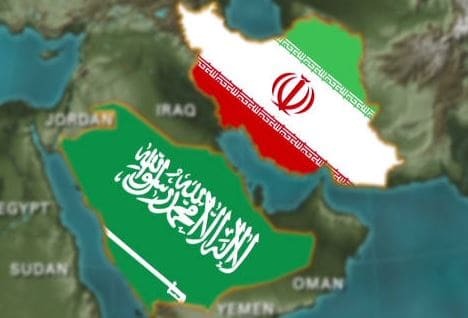 Rebuilding American relationships with the Sunni tribes, carefully nurtured during the Awakening in Iraq but then abandoned in our precipitous withdrawal from Iraq, is presented as the road to a Middle East without ISIS — and without advancing Iran’s agenda in the region.